A two colour print on a navy earthenware coffee mug. To ensure the print colour stays as vivid as possible, we do not recommend dishwashing. 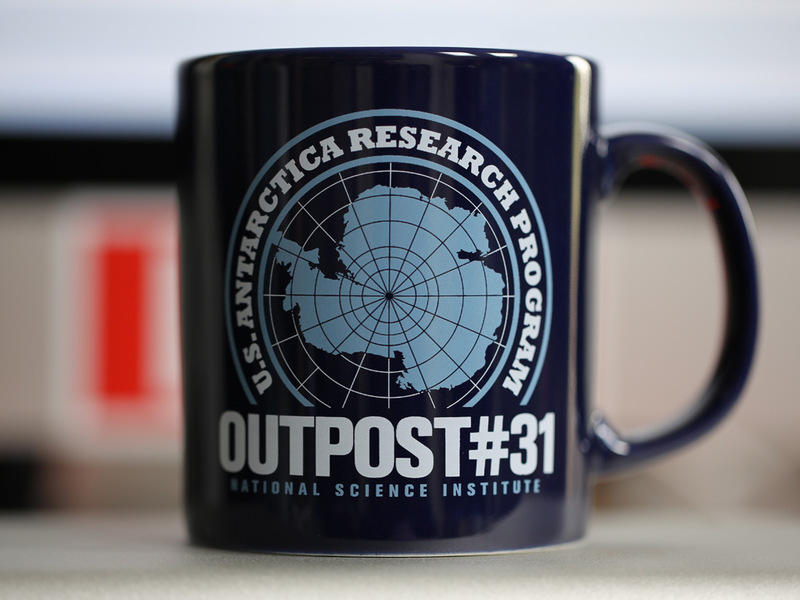 Based upon the fictional US outpost featured in John Carpenter's 1982 film, The Thing.